A Looking Glass Sanctuary is a tract of land in Clinton County on the Looking Glass River that The Fellowship raised funds for, purchased in 2006, and deeded to Michigan Nature Association, in exchange for a conservation easement in perpetuity. 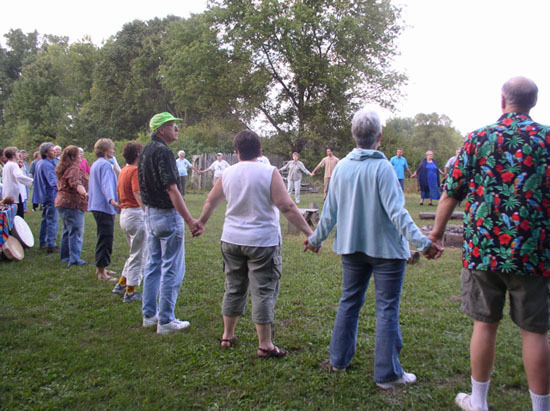 It is the first step by our Land Endowment Committee to take the program into the community and encourage other non-profit groups to establish similar campaigns with the ultimate goal of establishing a green space surrounding the Greater Lansing Area. Ongoing fundraising projects continue to raise funds to maintain the property and provide for some improvements to the land for everyone’s enjoyment. 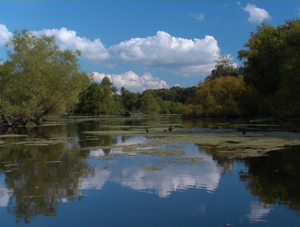 it is named after the Looking Glass River that runs along the East boundary of the preserve. Sandhill cranes have been spotted flying over the sanctuary and a variety of species dwells within the woods.